Issues of cultural and linguistic resilience should occupy a prominent role in the knowledge base of heritage- and English-language teachers. This presentation will summarize recent research on Latino children, the largest group of language minority students in the United States. Students’ stories, interpreted through Resilience Theory, offer new and pedagogically important insights for language teachers on the language behavior of these children, in particular, their linguistic agency in instantiating strategies for successfully negotiating their bilingualism in school, the family context, and society at large. Maria Carreira is Professor of Spanish at California State University, Long Beach and Co-Director of the National Heritage Language Resource Center at UCLA. Maria Carreira's research focuses on heritage languages, with a concentration in Spanish in the United States as well as the less commonly taught languages. Her research focuses on Spanish in the United States, identity, resilience, and heritage language learning and maintenance. She is also co-author of four Spanish-textbooks (Cengage), as well as Voces: Latino Students on Life in the United States (Carreira and Beeman, 2014; Praguer), a book that explores how U.S. Latino children navigate two languages and cultures in schools, as well as other contexts. The ongoing underachievement of multilingual, multicultural, and economically diverse minority students justifies interrogation of the status quo in teacher preparation. Critical social theory and sociocultural theory hold promise for addressing persistent inequities as well as institutional change. This plenary describes an instructional coaching model that makes critical sociocultural practices visible in the teaching-learning process. Using video clips, coaching interactions, and teacher and student voice, she shares how instructional coaching changes identities, power relations, and use of agency. Quasi-experimental and longitudinal qualitative findings reveal the lived patterns of teacher growth in learning to use critical sociocultural practices and connect teacher change to student achievement gains. Implications for university- and school-based institutional change are shared for countering persistent inequalities on behalf of English Language Learners. 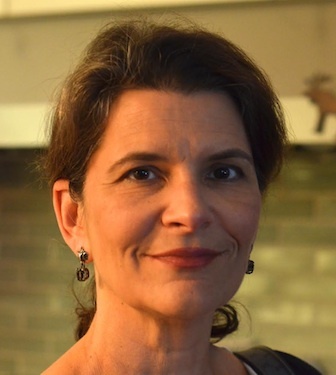 Annela Teemant is an Associate Professor of Second Language Education (Ph.D., Ohio State University, 1997) at Indiana University-Purdue University Indianapolis. Her scholarship focuses on developing, implementing, and researching applications of critical sociocultural theory and practices to the preparation of core academic teachers of English Language Learners. 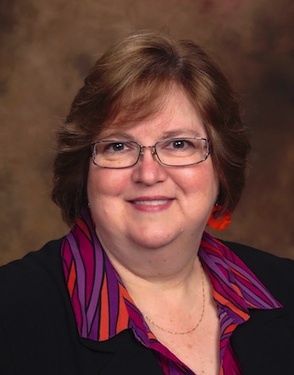 She has been awarded four U.S. Department of Education grants focused on ESL teacher quality and published numerous articles, curricula, and multimedia products targeting teachers of English Language Learners. In a climate in which the pressure for accountability increasingly drives a push for summative assessment, teachers need to learn how to juggle their roles as facilitators of language development and assessors of performance. What does research tell us about the relationship between teachers’ attitudes, beliefs, and practices regarding teaching and assessment, and how can we better train teachers to respond to the realities of their often-conflicting demands? This talk presents some of the research on the washback effect of assessment and on the relationship between teacher agency and learner autonomy. It discusses the need for incorporating a wider variety of procedures including peer- and self-diagnosis to make assessment an integral component embedded in the teaching and learning process, rather than a separate event. 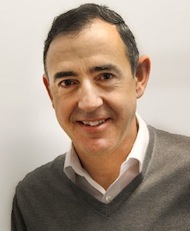 Fernando Rubio is an Associate Professor of Spanish Linguistics at the University of Utah and Co-Director of the Second Language Teaching and Research Center (L2TReC). He works in the areas of second language acquisition, language teaching methodology and technology-assisted language learning. He serves on the Board of Directors of the American Council on the Teaching of Foreign Languages and is the Co-Chair of the AP Spanish Language and Culture Development Committee. With the increasingly global mobility of people and the extensive use of diverse communication technologies, the very nature of the phenomena of multilingualism, multiculturalism, and language learning have changed. Similarly, there has been a re-conceptualisation of the nature of the learning of languages and cultures towards multilingual, interlinguistic, and intercultural perspectives. These changes have altered the role of teachers of languages and present challenges for teacher education as it seeks to prepare teachers to respond to these contextual and conceptual complexities. Drawing on data from several collaborative studies of teacher learning, this presentation will illustrate the intricate processes of mediating the professional learning of teachers of languages towards change, arguing for an orientation to teacher education that is interpretive, historically-grounded, and reflective. 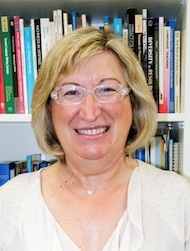 Angela Scarino is Associate Professor in Applied Linguistics and Director of the Research Centre for Languages and Cultures, University of South Australia. Her research expertise is in languages education in linguistically and culturally diverse societies, second language curriculum design and assessment, intercultural language learning and second language teacher education. She has been a Chief Investigator on a number of research grants, for example, Assessing the Intercultural in Language Learning (ARC Linkage 2006–2009) and Student Achievement in Asian Languages Education (DEEWR, 2009–2011). Her most recent books include: Intercultural Language Teaching and Learning (with AJ Liddicoat, Wiley-Blackwell, 2013) and Languages in Australian Education: Problems, Prospects and Future Directions, co-edited with AJ Liddicoat, (Cambridge Scholars) and Dynamic Ecologies: A Relational Perspective on Languages Education in the Asia Pacific Region co-edited with N Murray (Springer 2014). She is currently the Chair of the Multicultural Education Committee, an advisory committee to the Minister for Education in South Australia.